Adaptive, or Para, Rowing may be the longest standing fully integrated disability sport in Australia, with adaptive events being conducted as part of Rowing Australia’s National Championships since 1988. The sport was introduced to the Paralympics in 2008 in Beijing. 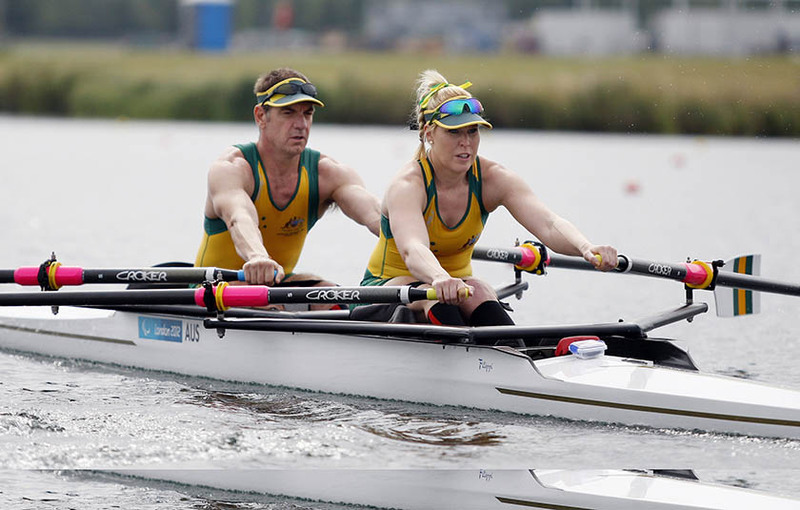 Rowing Australia manages the Australian Paralympic rowing program. Adaptive rowing is sweep rowing or sculling for rowers with a physical, visual or intellectual disability. Races were conducted over 1,000 metres until 2017, when the distance changed to 2,000 metres, the same as for able-bodied rowers. The equipment is adapted to enable the user to participate – for example, each athlete has a special seat fitted to their needs. However, the basic techniques and demands of adaptive rowing are the same as for able-bodied rowing. The accommodation of different types of impairment within a crew makes the sport accessible to a wide range of people and enables adaptive rowing programs to be integrated into regular rowing programs at all levels. AS (arms and shoulders) – for rowers with no or minimal trunk function. AS class rowers compete in single sculls with outrigger pontoons on each side for stability. TA (trunk and arms) – for rowers who have trunk movement and can’t use the standard sliding seat to propel the boat due to impairment of the lower limbs. TA class rowers compete in a mixed double scull with fixed seats. LTA (legs, trunk, and arms) – for rowers who have the use of legs, trunk and arms and can utilise the sliding seat. LTA class rowers compete in a mixed, coxed four of two male and two female rowers in a sweep oared boat. The coxswain can be male or female, and may or may not have a disability. Rowing Australia has sent an adaptive team to every World Rowing Championships as part of its overall team, winning 12 gold, 3 silver and 5 bronze medals (a record second only to Great Britain) at the World Championships. Australia won a silver medal at each of the 2008, 2012 and 2016 Paralympics.